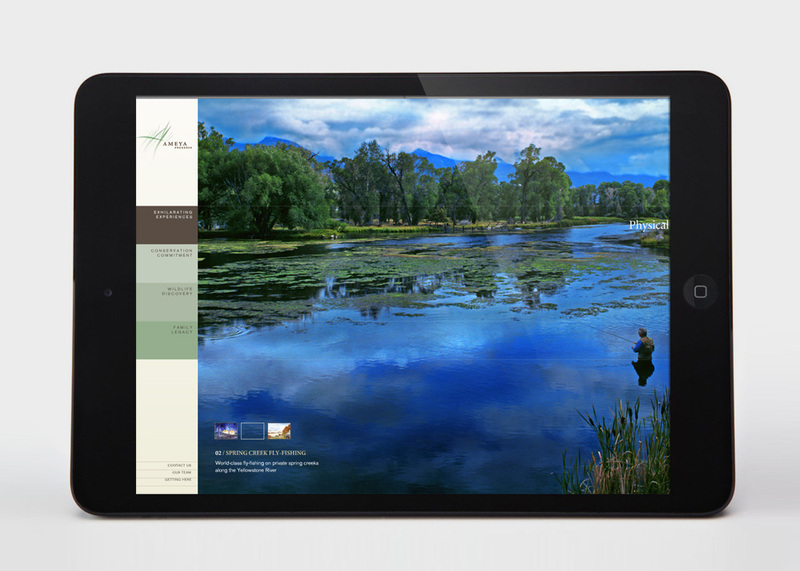 An environmentally-responsible real-estate development in the Greater Yellowstone region of Montana, Ameya Preserve needed a visual identity and website that would emulate the sense of inspiration that visitors to the land experience, and their communication materials had to differentiate the property from its “green-washed” competitors, yet still attract the target audience of ultra high-net worth individuals. 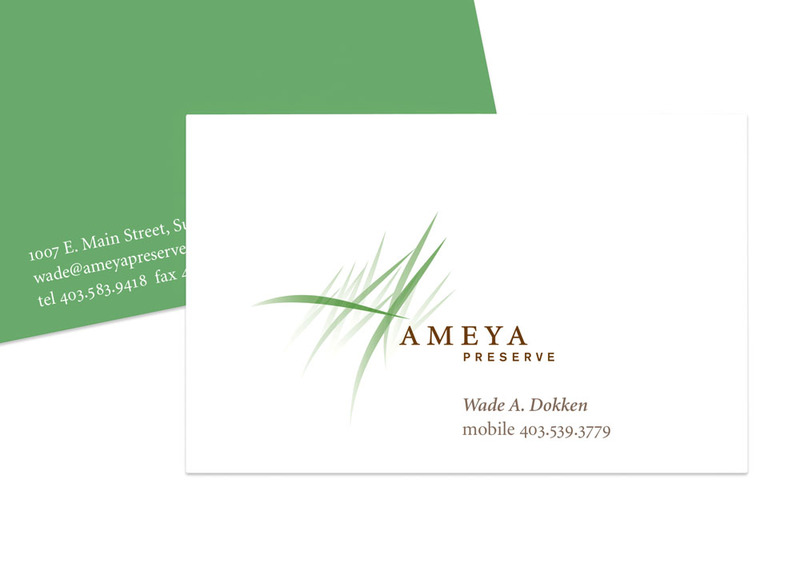 The visual identity—a monogram comprised of blades of grass bending in the wind—captures the emotion and sensation of movement and discovery represented in the name, which is the Hindi word for boundless. 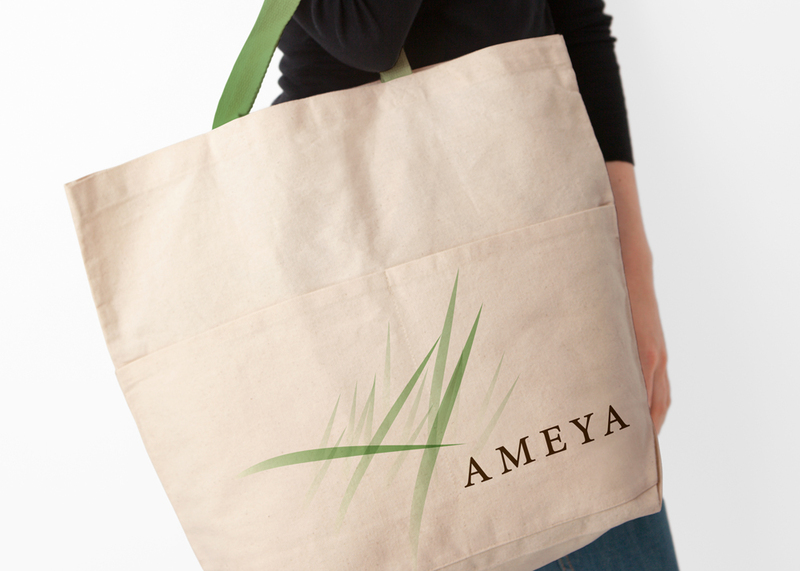 The idea of “boundless” captures the sense of exploration and activity that is central to the vision of Ameya Preserve. 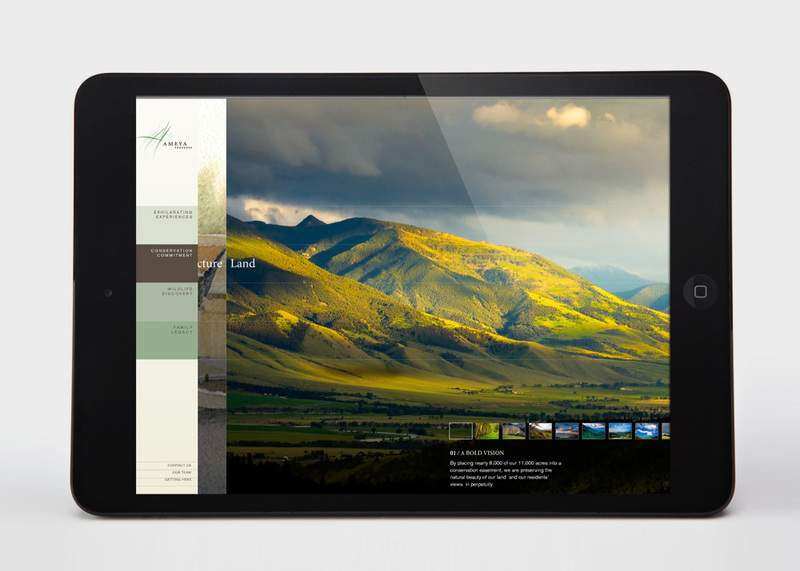 Since creating the foundational elements of the Preserve’s brand, we have continued to help the Preserve communicate its vision through a business communications system, a brand-at-a-glance booklet, and office signage. 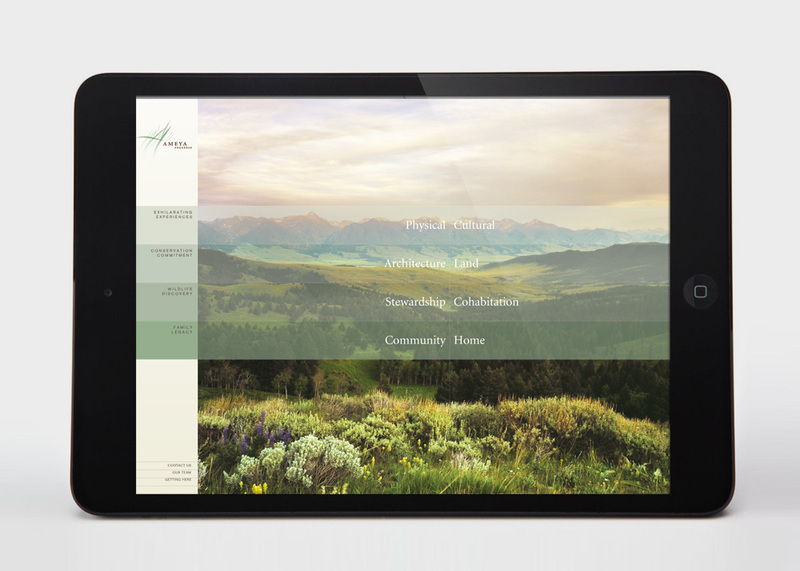 We also completed an introductory website for the property. 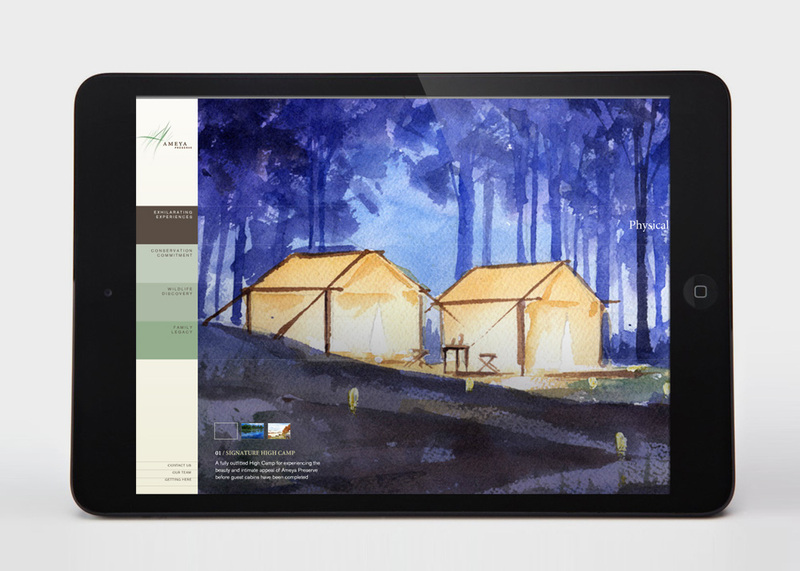 The online strategic imperative was to make a visit to AmeyaPreserve.com as immersive and engaging as a visit to the land itself. 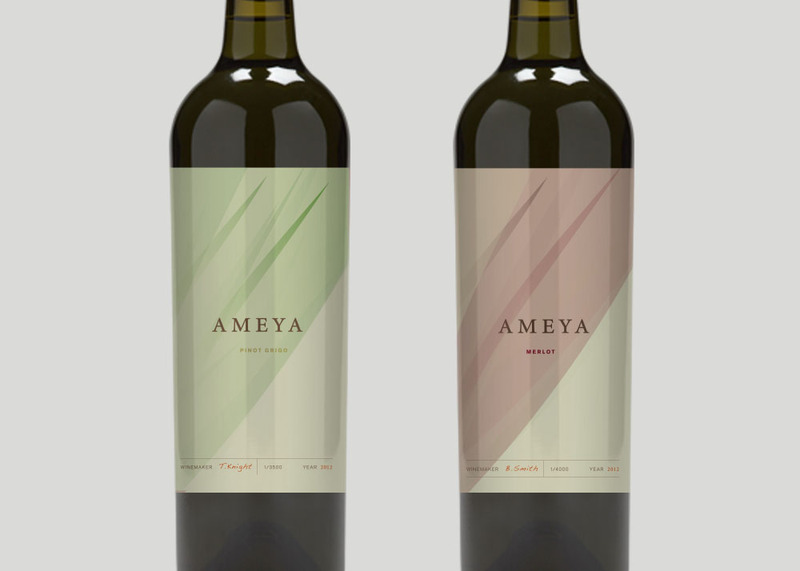 The introductory website uses a Flash-based interface that encourages exploration and entices users to learn more about Ameya Preserve. 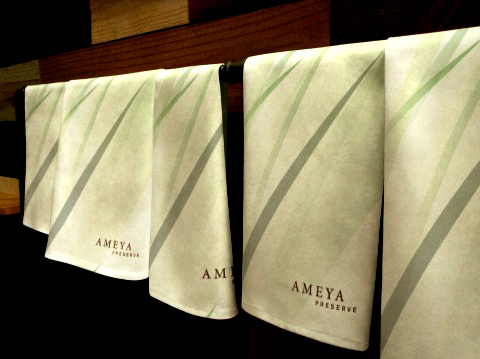 Using the brand’s four pillars as a navigational tool, the site blends illustrations and photos to provide an evocative and emotional sense of the experience that will become Ameya Preserve.